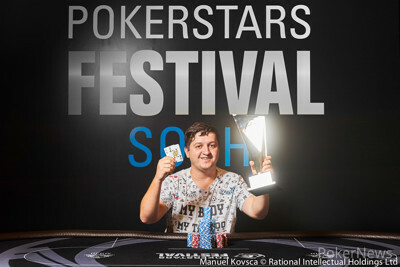 Kiryl Radzivonau took down a 96-player field to win the PokerStars Festival Sochi High Roller and 3,000,000 RUB in prize money. Coming into the day fifth in chips, Radzivonau used a wealth of experience, including multiple EPT final tables to navigate his way to the victory and his first career High Roller victory. That brings their total live earnings to over $1.9m, and should seem them overtake fellow Belarusian Anton Astapau in the alltime Belarusian standings. 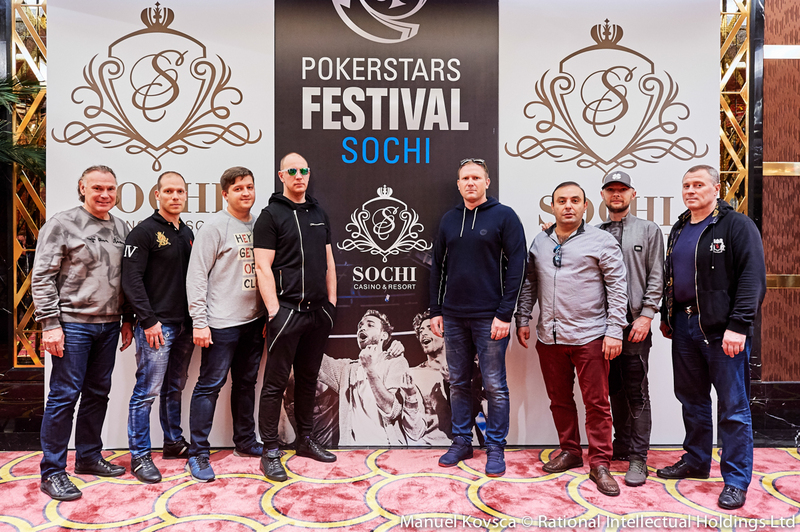 Runner-up Oleg Lipkin enjoyed another deep run here at the Sochi Resort & Casino after finishing 29th in the PokerStars Championship Sochi Main Event earlier this year. 26 players returned and it wasn't long before they were all seated around three tables. At this point it was Vanush Mnatcakanian who led the way after overnight chip leader Andrey Andreev lost some chips during the early exchanges. The pre-bubble action resulted in some quick eliminations, as players failed to spin it up in their pursuit to cash and finish in the top 13. Igor Kurganov had been steady throughout the day, but was sent to the rail in a three-way all in against Oleg Lipkin and Vladimir Demenkov. The money went in on a Four-Jack-Ten-Three board, with Lipkin holding a set of jacks. Neither Kurganov's straight draw nor Demenkov's flush draw could beat him and the pair were both sent to the rail. By the time we made it to the first break we had lost nine players and play was on the two-table bubble. By the time Alexsey Zaragatskiy was eliminated to bring the tournament down to 16, it was Yakov Oranskiy who had taken over the chip lead, with Mnatcakanian falling back into the pack. The bubble eventually burst in bizarre fashion. After Pavel Veksler opened, Siarhei Chudapal three-bet all in. Mikhail Sokolov was in the small blind and announced "call," without realising that Chudapal was all in. Sokolov's call stood and his King-Six of diamonds cracked the Jacks of Chudapal to bring the remaining 13 players into the money. A few eliminations into the money, and Mnatcakanian had resurfaced to join the top of the chip counts, but it was Kiryl Radzivonau who stood atop the standings for the first time. However by the time play reached the unofficial final table of nine, Dmitrii Deviatov was chip leader with close to 700,000. However, in a turn of events Deviatov was the first elimination at the final table after he doubled up Andrey Andreev and Daniil Gavrilov. Both Deviatov and Radzivonau held Queen-Jack, but the latter hit runner-runner diamonds to river a flush and eliminate his opponent. 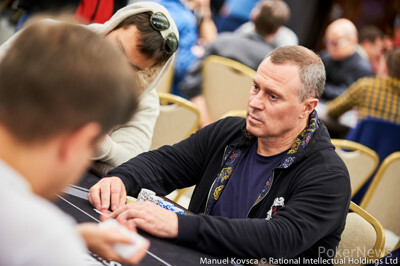 Mikhail Sokolov was the first elimination at the official final table of eight, as Mnatcakanian doubled through Radzivonau to put the breaks on his surging chip stack, which was already over one million chips seven-handed. After the dinner break, it didn't take long for Yakov Oranskiy to bust at the hands of Daniil Gavrilov, putting Gavrilov at the top of the leaderboard. Dmitriy Chop had had an exciting day, including a penalty for attempting to tear up his playing cards, but he was eliminated in sixth place when his Ace-Nine failed to best the Ace-Jack of Andreev. He was soon joined by Mnatcakanian on the rail who was out-kicked by Radzivonau on a Jack-high flop, and he was eliminated in fifth. 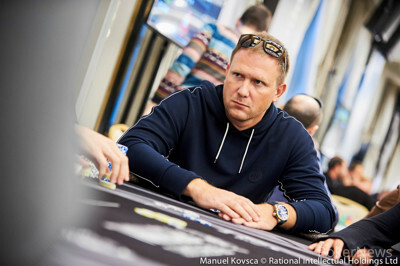 With four-handed play relatively deep-stacked, there was no rush for any of the players to make any rash plays, and it took a long while before Andrey Andreev bust to Radzivonau, who now held more than half the chips in play three-handed. And after Daniil Gavrilov bust in third place after an extended short-stacked three-handed battle, Radzivonau rode the wave of the big stack to victory shortly after 2 a.m. local time. Oleg Lipkin was the shortstack throughout the whole heads-up battle, and after he moved all in Kiryl Radzivonau called. The flop came . The turn was the giving Radzivonau a straight and the river was the eliminating Lipkin in second place. Daniil Gavrilov moved all in for his remaining 400,000 chips and Oleg Lipkin called in the big blind. There was a six on the flop of and no further help on the turn nor the river and Gavrilov was eliminated. Kyril Radzivonau raised to 120,000 and Oleg Lipkin called in the small blind. Daniil Gavrilov called in the big blind and the flop came . Lipkin checked and Gavrilov bet 125,000. Radzivonau called and Lipkin folded. The turn was the and Gavrilov check-called a bet of 140,000. The river was the and both players checked. Gavrilov showed for a missed flush draw while Radzivonau showed for a pair of aces. On a flop Daniil Gavrilov bet 100,000 and Kiryl Radzivonau called. The turn was the and Gavrilov bet 100,000 again. The river was the and both players checked. Gavrilov showed but Radzivonau had that beat with for top pair. Oleg Lipkin moved all in from the small blind and Daniil Gavrilov called all in for his last 270,000 from the big blind. The board ran out and Gavrilov stayed alive.